Insider had the opportunity for a quick conversation with a very busy Trent Lindmark. Have you changed addresses since we last talked? 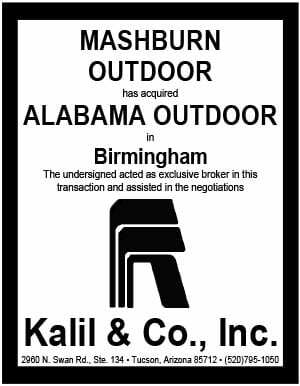 Any new acquisitions to your OK or NM plant? How about organic growth? It has definitely been a crazy year for sure. I can’t remember a year where we’ve seen this many deals. We have bought 5 companies so far and have 2 more that we’re about to close. Yes we are consistently growing organically in both OK and NM. Your digital inventory continues to grow. Tell me about how you are choosing static boards for upgrade to LED? I’m always asking the Sales folks where we can place one throughout the markets. Im just following the demand and their lead. 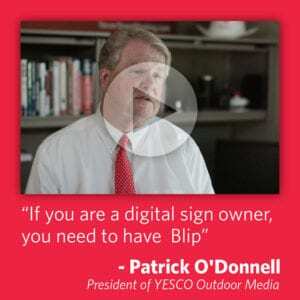 What’s the most important lesson you have learned in building and marketing digital signs? I forget the power of the new. They are so hot for the first 6 to 12 months and then they start cooling down. Most importantly, what do you think the Sooners chances are against Alabama? Well… that’s a tough one. If the Sooners’ offense can score 50 plus points, then we may have a chance. Our defense is really going to have to be on their game.